The all-new production will include characters Anna, Elsa, Kristoff and Olaf, the fun-loving snowman. Queen Elsa from Frozen will use her powers to transform Cinderella Castle into a glistening ice palace for the holidays. A Frozen Holiday Wish uses 200,000 led lights covering Cinderella Castle – that’s quite something! It will be presented nightly through December 31, 2014. 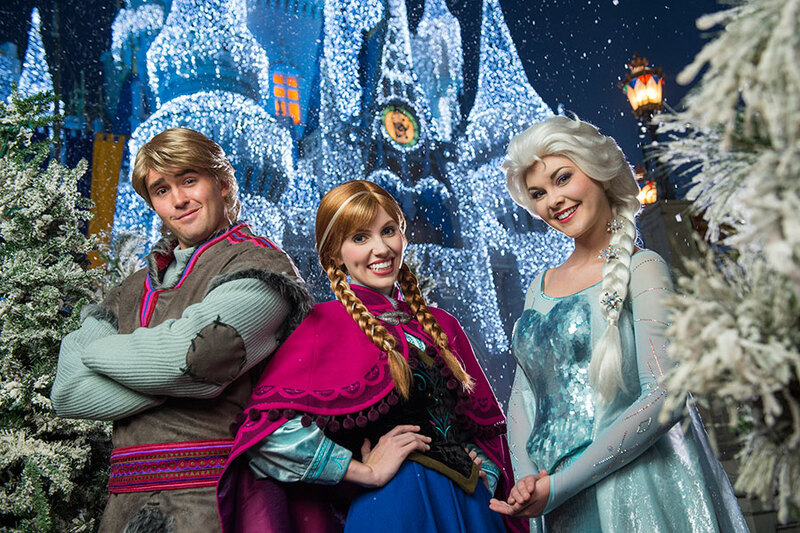 Disney World has been incorporating attractions and events from the “Frozen” movie, which debuted a year ago. It has made more than $1.3 billion at the box office worldwide. Elements of the company’s “Frozen Fun Summer” promotion have carried over into the fall and winter at Disney’s Hollywood Studios, and the Maelstrom ride at Epcot has been closed in favor of a “Frozen” attraction.